How to create an online course? A step by step guide. To help you get started with our online software, we've made a short course "How to create an online course". It takes around 5-10 minutes to go through at once, or you can use it as a reference when building your course. It will definitely help you to get started quickly! If you have any questions, please contact our support gurus. Let's start building your awesome course with this step-by-step guide. Click on the button "+ New course"
See the video below on how you can do this. The most important part of your online course is the curriculum. In this section you'll learn how to build the curriculum of your course. 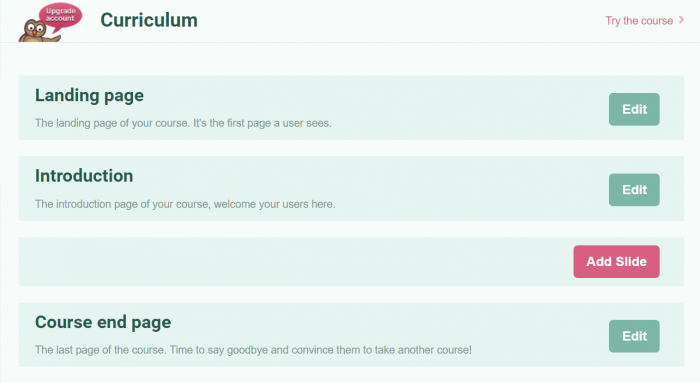 These are the default pages in any course. In between these pages you can add your own pages, or "Elements" as we call them. After you've just created your course, the curriculum will look like this. Content slides: these slides can contain text, images, videos and quotes. Assessment: this is an outcome based test. For example: What type of learner are you?. 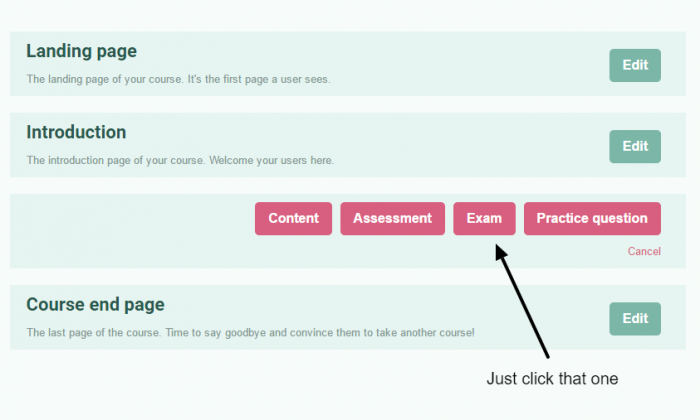 Exam: A test where you can evaluate the knowledge level of your users. Test if they really understood the content of your course. Practice questions: Practice makes perfect. Insert practice questions between your slides to engage your users and let them think about your content. When you add a slide, each type will give you different options to choose from. For example if you add a practice question, you can choose from several different question types. This allows you to quickly create the best learning material for your users. Voice over: "Oke. This break out image thing is only possible in the course, not in this step-by-step guide in our help section." When you have a lot of text, sometimes it can enhance the content to highlight certain parts. For this we build the "quote" element. On the next slide we'll learn how to add an exam to your course! Next you can choose to create an exam, or select one if you've already created an exam. You can re-use your exams in multiple courses. Setting up exams can require very specific rules concerning point assignments, explanations, pass-levels, question banking etc. For now we'll assume that you've already created an exam called "Final exam" and we'll add it to the course. Just select your exam and press save! Maximum attempts: If a user doesn't score above the pass rate in a maximum amount of attempts he will be redirected to the end page of the course (the failed variant). The next slide in this course will be a short exam of 3 questions, which we can't display over here, so you'll have to take the course. And now for the last step: sharing your course with your users. Basically, there are 4 ways to give people access to your course. 1. You can share the direct link to the test. 2. You can integrate the test on you website using an embed-code. (the same way you integrate a youtube video on your own website). Under the "Publish & Share" tab in the left navigation of your course you'll find the embed-code and the url to your test. On the publish tab you'll find both the URL and the Embed-Code you can use to publish your course. 3. You can use our "invite only feature" to securely invite a select group of users. This is mostly used for corporate e-learning. You can find this feature under the "User Management" tab. Set your user management to Invite Only to securely invite users to your course. 4. 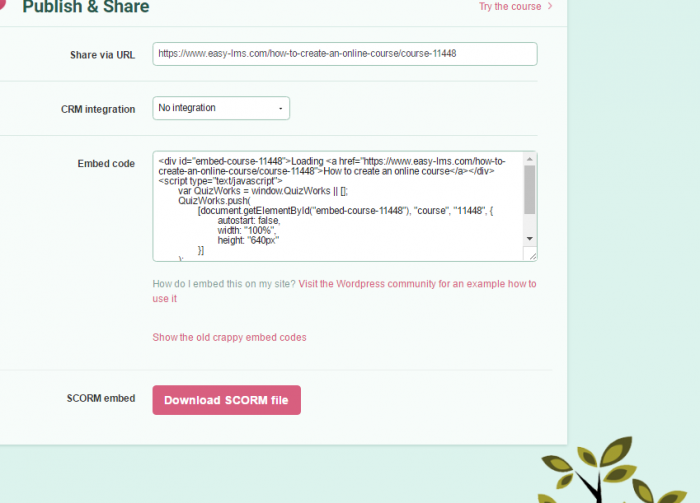 And last but not least, you can export a SCORM file and add that to your LMS. 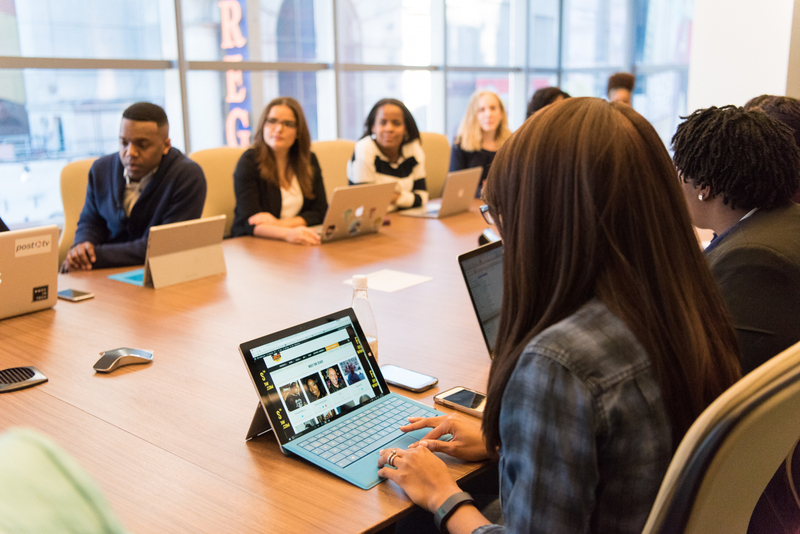 We don't recommend this because the SCORM standard is very outdated and has limitations on data-transfer. But if you're into old skool, it's possible. Now go share your brand new course with your users in the way that suits you best! Congratulations! You have finished setting up your first course. 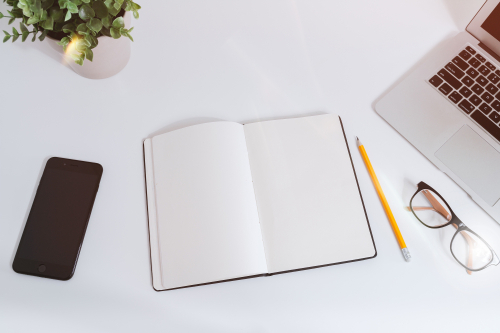 It's still very basic, but with this basis you'll be able to start adding more advanced stuff like automatic certifications, integrations, etc. Check out the Course & let us know if you have any questions or remarks about it? How to make online courses more interactive? Are online courses easier than regular classes? According to the dictionary, a course is a series of lectures or lessons about a particular subject, leading to an examination or qualification. The term became popular in the 1800s and comes originally from the Latin word cursus, which contains the idea of something that runs, or flows. Which is very related to how a course works: there’s a curriculum, or study plan you must follow in order to complete the training. Now, a lot has changed since the 1800s. From private tutors with books to classrooms full of students, a course was usually given on a fixed setting and involved people listening to a lecture or reading about a subject in a book. Online learning is probably the greatest revolution in contemporary education. Will there ever be a world without traditional education and everything will be replaced by online courses? We will try to answer this question in this article. It will show you the advantages and disadvantages of online courses. Giving an online training with our course builder is an easy way to motivate your employees. It’s not only an easy tool for the participants, but also for the course creator. The creator of the course is able to keep track of his or her employees. This gives the creator an immediate insight into any gaps in knowledge. And there’s much more!